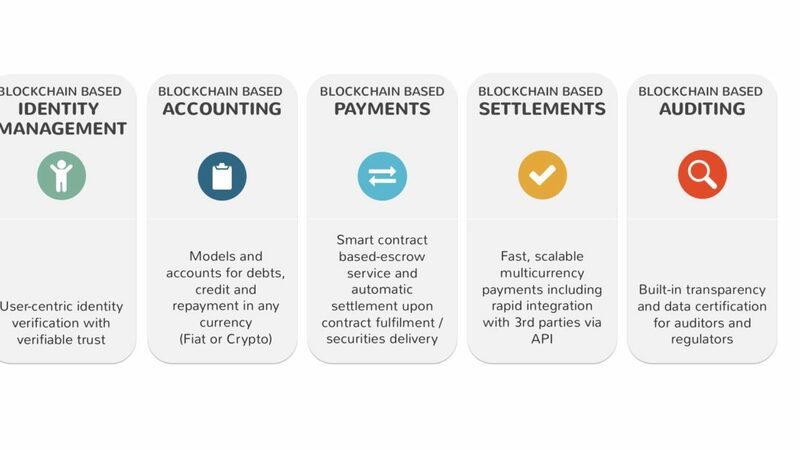 Blockchain is a foundational technology, an underlying technology layer for applications built on top of it, allowing them to share a joint database and a ledger. It provides realtime access to an immutable and consistent data set. Based on our experiences launching the Building Blocks project on behalf of the United Nation’s World Food Programme (WFP) in May 2017, we launched its RAAY project in early 2018. RAAY’s goal is to become a new operating system for banking. Since the finance industry hasn’t changed much during the last decades, and financial crises followed by new stern regulatory frameworks have made banking even harder, banks are faced with a multitude of challenges, from a degenerated trust to inflexible and overcharged IT infrastructures and processes. For the RAAY team, blockchain provides the ideal basis for renewing trust and making IT more efficient for banking. Therefore, RAAY has been working on a new operating system to enable players of the finance industry with a blockchain-based technology layer to build lean, efficient, trust-less applications on top of it. RAAY is partnering with a German bank to create a blockchain-based token representing the ownership of a German real estate fund. The token is part of an immutable, trust-less and decentralised system built specifically for the new RAAY operating system for banking. The token and the auxiliary system achieves an improved model for ownership of real estate by applying blockchain technology, secure and scalable identification solutions and tried-and-tested account management software. The token is characterised by a smart contract defining key functionality (transfers, rights, etc.) and listing properties (ownership, price, fund information, etc.). The token smart contract is linked to another smart contract which manages the different tokens and allows users to interact with various tokens in a simple way. Ownership of a token is proven by the possession of a private key. The corresponding public key is publicly listed in the smart contract. Building on the immutability and security of blockchain technology allows any token holder to prove ownership to anyone, in real-time, without doubt. The Identification takes place according to applicable KYC-regulations with the addition of the creation of a blockchain identity, in effect a public-private key pair. The secret private key is much like a password and can be either downloaded to a secure offline-storage by the client or can be stored in a so-called cold wallet managed by a future RAAY-bank entity. If investment amounts exceed a certain limit, tokens are stored in a multi-signature wallet for additional security. The Application for Tokens is a protocol for converting any type of funds (fiat or cryptocurrency) into tangible asset tokens. It requires an account with a depository bank for fiat currencies. The Fund-Connection is the direct correspondence between existing tokens and shares of the fund in question. This ensures the validity of each claim that a token holder may have, on any ownership/access to dividends from the fund. This is the first step in RAAY’s strategy to create the new operating system for banking. It is a needed use case that will be operational and reduce costs for the fund deploying it. By going stepwise from one application area to another, RAAY will build a modular and configurable OS for banking that removes inefficiencies regardless whether the partner is a fund, a bank or a fintech-company.